A bunion is a bump on the outer joint of your toe that can be extremely painful. Bunions most often affect the big toe, but another type of bunion that’s just as painful can form by the little toe. This is commonly referred to as a tailor’s bunion or bunionette (little bunion). A tailor’s bunion or bunionette (see figure 1) is much like the bunion that occurs on the big toe joint except that it occurs on the fifth toe joint. Call 206.344.3808 or use our Patient Portal to schedule an appointment if you need or would like immediate relief. If you are not in the Seattle area and want to try home treatments first, you can find our recommended tailor’s bunion self-treatments below . It is called a tailor’s bunion because many years ago, tailors worked sitting on the ground with their legs crossed and the side of the foot pressing into the ground. This pressure led to an enlargement of the little toe and the bone below it that caused a painful bump to form. Tailor’s bunions can be very painful, but at the Foot and Ankle Center, we can usually relieve your bunion pain without surgery. At the Foot and Ankle Center, we always try the most conservative treatment options first with the goal of rapid pain relief. We typically recommend orthotics and changes in your shoe choices before considering surgery. Shoes – This is also an important part of treatment for tailor’s bunion. A good shoe store can help you find shoes that will not put pressure on the fifth metatarsal head. Sometimes having the shoe itself stretched on the area that touches the bunion can be very helpful – this is called a “spot stretch”. Surgery – We believe surgery should be a last resort, but when conservative treatment does not relieve your symptoms, it can be a very effective solution. Tailor’s bunion surgery is similar to standard bunion surgery. To review our approach to surgery, please read our bunion surgery page. For detailed information on how we would approach both non-surgical and surgical solutions for your foot, call 206.344.3808 or use our Patient Portal for a consultation. Our goal for treatment of tailor’s bunion is to reduce pressure on the bunionette – both on the bottom and on the side of the foot. If you would like to try a home remedy for your Tailor’s bunion pain, we have developed a 10 step plan. Try this plan for three weeks and, if you don’t see relief of your pain, then see see a podiatrist. The product links on this page are affiliate links. If you click and purchase one of these items, we may make a small commission. have found for this purpose is the FootChair Orthotic with Adjustable Arch Height. This new arch support has a firm arch that is far superior to most other over-the-counter supports so it does a really good job at transferring pressure from the area of the tailor’s bunion and onto the arch of the foot. What is really helpful about the FootChair orthotic is that the arch height is adjustable by the addition of specially designed arch pads. 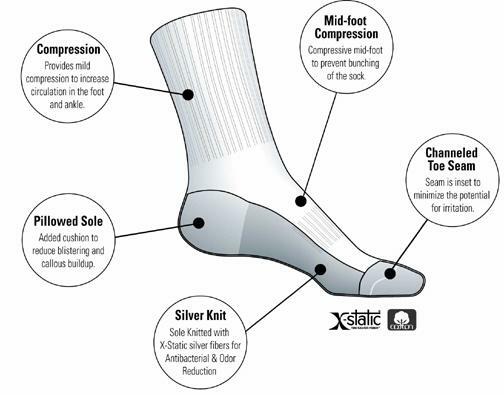 This allows you to find the arch height that most effectively transfers pressure off of the tailor’s bunion. This pressure reduction is key in reducing pain. Only a total contact custom orthotic will work better. Wear shoes with a wider toebox so the shoe doesn’t push so hard on the tailor’s bunion. There are a couple brands of shoes that we like a lot for treatment of tailor’s bunions. Our favorite is Keen. Keen tend to have a wider toebox that works great for this problem. Take a look at Keen shoes for women here and Keen for men here. Keen come in many different styles including dress shoes, walking shoes, sandals and athletic shoes. When wearing sandals or slippers use one with exceptional arch support. This will act to decrease pressure on your bunionette. We recommend the Vionic Arch Support Sandals for its superior arch support. Like the arch support above, this exceptional arch support transfers pressure off of the tailor’s bunion (5th metatarsal head) and onto the arch of the foot. The other nice thing about sandals is that there is usually no pressure on the side of the foot at the tailor’s bunion. We recommend these to all of our patients with bunionettes. Available as flip-flops, sandals and slippers. Use Silipos toe separators between the fourth and fifth toes. This will help to decrease pressure between the toes. Wearing the correct socks can help reduce rubbing on the Tailor’s bunion in two ways. First, they can reduce friction on the bunion and second, they provide cushion. Cotton is a poor choice because of high friction. Our favorite sock for bunionettes is the Juzo Silver Sole Sock because it very low friction, has no seam over the bunion area and cushions the bunion from shoe pressure. These are available in either white and black. Use a pad over the Tailor’s bunion deformity. The only o ne we have found specific for Tailor’s bunions is the Dr. Frederick’s Tailor’s Bunion Pad. It is designed for to protect the bump on the side of the foot and to slightly separate the 4th and 5th toes. Ice the painful bunionette for 10 minutes each evening. Apply a topical pain reliever such as Biofreeze Cold Therapy Roll-on during the day. Find a shoe store with well trained and experienced shoe fitters. Our shoe list includes many in the Seattle area. A good shoe fitter will help you find the best shoes for your feet and can usually modify the shoe to fit better over the Tailor’s bunion. If you don’t have a good shoe store nearby, these Orthofeet Shoes for Women and Orthofeet Shoes for Men work great for Tailor’s bunions as they have extra room in the toe box and are easy to stretch. Both casual and athletic options are available. Also see the Keen shoes listed above. Stretch your shoes to accommodate the bunion deformity. You can stretch them yourself with a ball and ring shoe stretcher or take them to a shoe repair shop. We also have a page with video instructions on how to stretch your own shoes. For very large tailor’s bunions use a stretchable shoe: Orthofeet Stretchable Shoes have a unique leather and spandex design that is both elastic and breathable. These stretch to conform to the contours of the foot, accommodate foot deformities and eliminate pressure on Tailor’s bunions, big toe bunions, hammertoes and bony prominences. Don’t let your tailor’s bunions get worse. Early treatment can prevent future problems. Call 206.344.3808 or use our Patient Portal to schedule an appointment.